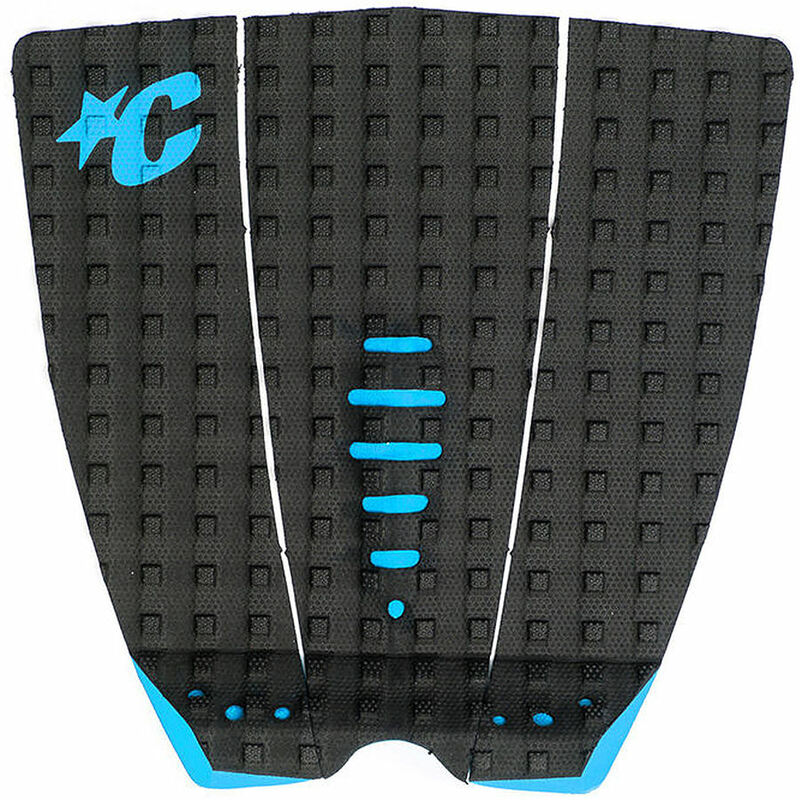 4	stars -	"Review for Creatures of Leisure Mick Fanning Lite Traction Black Cyan" Mark Taylor This Creatures of Leisure Mick Fanning Lite Traction Black Cyan is the best Traction Pads On Special I have tried. The New Mick Fanning Lite Signature traction pad is Mick Fanning's go-to pad when weight matters. Constructed with ultra-lightweight thermo moulded EVA with dotted texture upon the Square-Loc traction pattern for extra grip. Contrast colours popping out of the 7mm Tear-Drop Arch with the Chisel Cut construction, 28mm Table Top kick and 3M Adhesive backing.